Free overnight parking by the roadside for 300 meters. Toilets nearby (daytime only) and found free wifi 20 meters from road. 300 meters from metro. 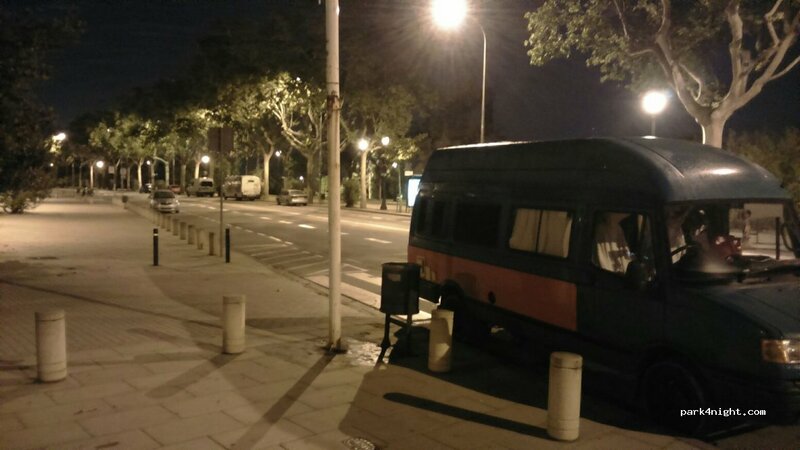 the best free roadside parking for campers in the CENTER of Barcelona! ...but remember it's only roadside parking. Price of services : no services just day time toilets near. 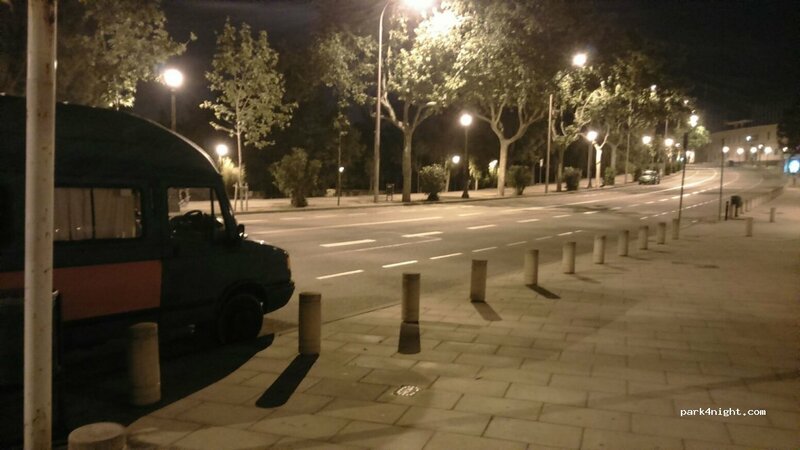 Ya no se permite aparcar aqui ni en ningún sitio dentro de Montjuic - ce n'est plus autorisé de stationner ici ou ailleurs au sein de Montjuic. Parking spaces where you can spend the night.